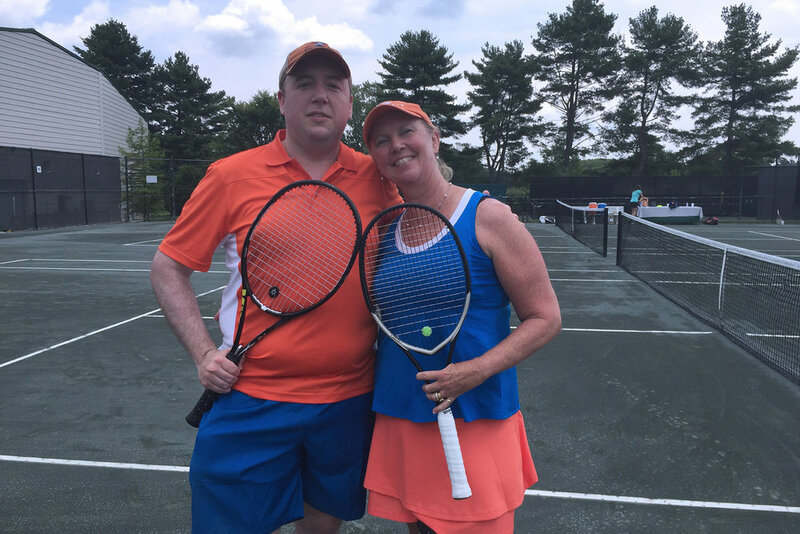 The 6th Annual Golf and Tennis tournament to benefit the Combined Campaign for Justice held on July 16, 2018 at the DuPont Country Club was another tremendous success! Thanks to the more than 200 golfers, tennis players, sponsors and volunteers, over $40,000 was raised to benefit Delaware's three legal services organizations: Community Legal Aid Society, Inc. (CLASI), Delaware Volunteer Legal Services, Inc. (DVLS), and Legal Services Corporation of Delaware, Inc. (LSCD). These organizations provide legal services to those in need who cannot afford to hire an attorney. The Yeager Law Firm LLC participated in the golf tournament as a Birdie Sponsor. Julie H. Yeager, Esquire volunteers as a chair on the committee that organizes the annual event. Since 2012, The Yeager Law Firm LLC has been the proud sponsor of the Wilmington Blue Rocks Family Section. Baseball has been nicknamed "America's Pastime" but it means so much more. Going to a baseball can be a relaxing way to spend an evening with friends and family. There are moments of excitement on the field but also plenty of time to sit back and connect with those around you. It is also more than a night out of the house. The fans and players become members of a shared community when they enter the stadium. The players want to win the game for the fans and to play well to progress their careers. As fans, we want a win in the moment, but also for the players to succeed individually and make it to the big leagues, even knowing that means they will leave our team and town. Why are we as fans so invested? We receive nothing of monetary value in return if a minor league player signs a multi-million dollar contract. But there is a sense pride and accomplishment that comes from being part of a ball player's journey. It reminds me of the parent-child relationship, where a a parent will invest in his or her child's hopes and dreams and cheer them on along the way, even if it means the child will leave their home, their hometown, and possibly even their country. So long as the child is happy in his or her success, so too is the parent. A truly selfless act. 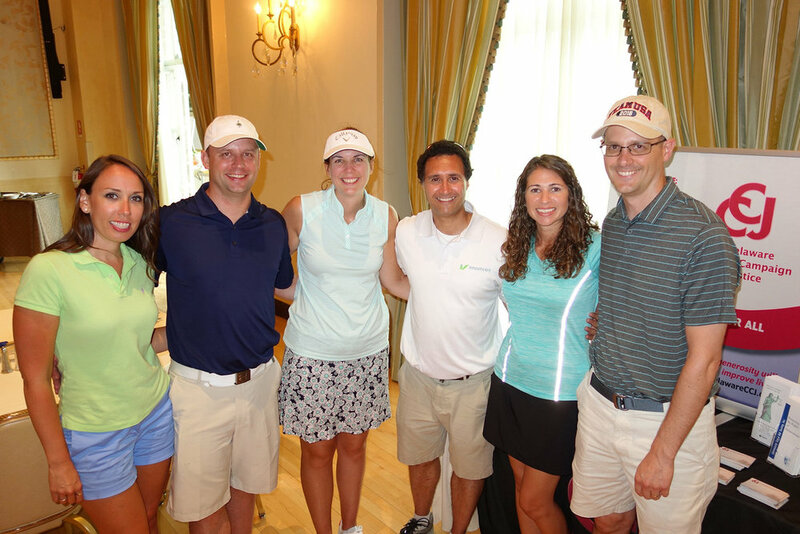 The 5th Annual Golf and Tennis tournament to benefit the Combined Campaign for Justice held on July 17, 2017 at the DuPont Country Club was a tremendous success! Thanks to the more than 200 golfers, tennis players, sponsors and volunteers, over $38,000 (after expenses) was raised to benefit Delaware's three legal services organizations: Community Legal Aid Society, Inc. (CLASI), Delaware Volunteer Legal Services, Inc. (DVLS), and Legal Services Corporation of Delaware, Inc. (LSCD). These organizations provide legal services to those in need who cannot afford to hire an attorney. 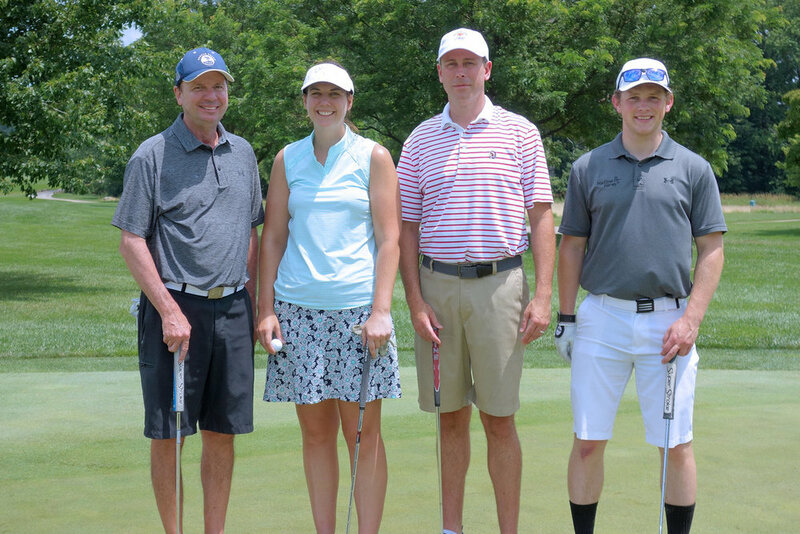 The Yeager Law Firm, LLC participated in both the golf and tennis tournaments as a Birdie Sponsor. Julie H. Yeager, Esquire volunteers as a chair on the committee that organizes the annual event. Committee Chairs (left to right): Jennifer Rutter, Esquire, Kevin Conner, Esquire, Julie Yeager, Esquire, Charlie Vincent, Esquire, Jaclyn Quinn, Esquire and Jason Stoehr. 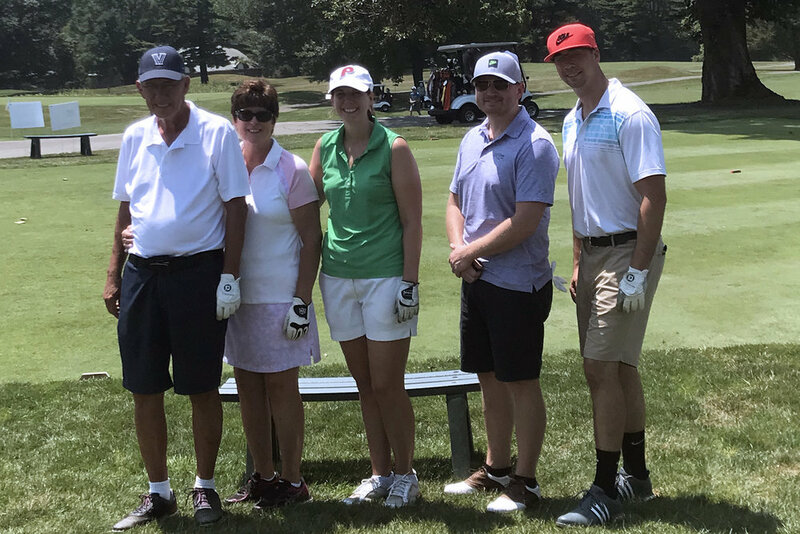 Team Yeager Law Firm (from left to right): Craig Yeager, Julie Yeager, Esquire of The Yeager Law Firm, Ryan Conner of Tactix, and Patrick Boyer, Esquire of MacElree & Harvey, Ltd. Team Yeager Law Firm (from left to right): David Yeager and Brigid Yeager. A Commissioner or Judge presides over every hearing in the Delaware Family Court, depending on the type of filing. The Commissioners hear a multitude of petitions and motions each year. The most common include: petition for child support or a petition to modify child support, petition for order of protection from abuse or a motion to modify an order of protection from abuse, and a motion for temporary visitation. After your hearing, you will receive a written decision issued by the Commissioner. If you do not agree with the Commissioner's decision, you may have a right to appeal it. Your appeal is called a "Request for Review of Commissioner's Order". ELIGIBILITY: To be eligible to file an appeal, you must have appeared in Family Court and had a contested hearing. If the parties reached an agreement or you failed to appear for your hearing, you cannot file a Request for Review of Commissioner's Order. FORMAT: In the Request for Review of Commissioner's Order, you will list all of your objections to the Commissioner's Order. You may use Form 455 on the Family Court website, if unrepresented. TIMING: The timing for your appeal is also important. You only have 30 days from the date of the Commissioner's Order to file an appeal. This is a firm deadline. Your opponent is given 10 days to file a response. COST: When considering whether to file an appeal, cost is always a consideration. The filing fee for a Request for Review of Commissioner's Order is presently $110, plus the appealing party must pay to have a transcript of the underlying hearing prepared. The cost for the transcript depends on the length of the hearing. LEGAL STANDARD: A Judge will consider your written objections. If the Commissioner's decision is considered a final order, then the judge will use a de novo standard. "De novo" means to start from the beginning or anew in Latin. The Judge may accept or reject the Commissioner's decision in whole or part. The Judge may receive further evidence or remand the case back to the Commissioner with instructions. If the Commissioner's Order is an interim decision, then the judge will only reconsider the decision where it is shown that the Commissioner's Order is based upon findings of fact that are clearly erroneous, contrary to law, or an abuse of discretion. 10 Del. C. § 915(d) and Family Court Civil Procedure Rule 53.1. Consider scheduling an initial consultation with a family law attorney who specializes in this area to discuss your options. Parents who are unmarried, separated or divorced may disagree about how to raise their children, and specifically where to send them to school. While the Delaware Family Court very much prefers for parents to discuss their children's educational options objectively and come to a consensus about where to send their children to school, this is not always possible for a multitude of reasons. In situations where the parents reach an impasse, the Family Court has jurisdiction to vest authority in one parent to enroll a child in an eligible school over the other parent's objection. In a school choice dispute, the parents have the option to engage in alternative dispute resolution with a trained arbitrator or mediator versus appearing in Family Court for a hearing before a judge. There are many benefits to alternative dispute resolution. But it is voluntary, which means both parents must agree to go this route. Accordingly, one parent may be forced to file a Petition for Custody or a Petition to Modify a Custody Order, seeking sole custody, primary residence or final decision-making authority over educational decisions. If you appear before a judge, there are a number of factors the judge is required to consider, including but not limited to, the wishes of the parents and children, the children's adjustment to home school and community, and past and present compliance of the parents with their parental responsibilities and obligations. If the child is of an appropriate age and maturity level, the judge can interview the child about his or wishes at either parent's request. School choice disputes are incredibly fact specific. Consider scheduling an initial consultation with a family law attorney who specializes in this area to discuss your options. Premarital Agreement: Is It Enforceable? Moreover, the right of a child to support from either parent may not be adversely affected by a premarital agreement. If you have a premarital agreement and waived child support or accepted a lower amount than you would receive pursuant to the Delaware Child Support Formula, this term is unenforceable. Consider scheduling an initial consultation with a family law attorney who specializes in this area to avoid any uncertainty about the enforceability of your premarital agreement.